With Citibank as one of the New York Mets' largest sponsors, we were tasked with creating a look and feel for cobranded pieces for the new season. 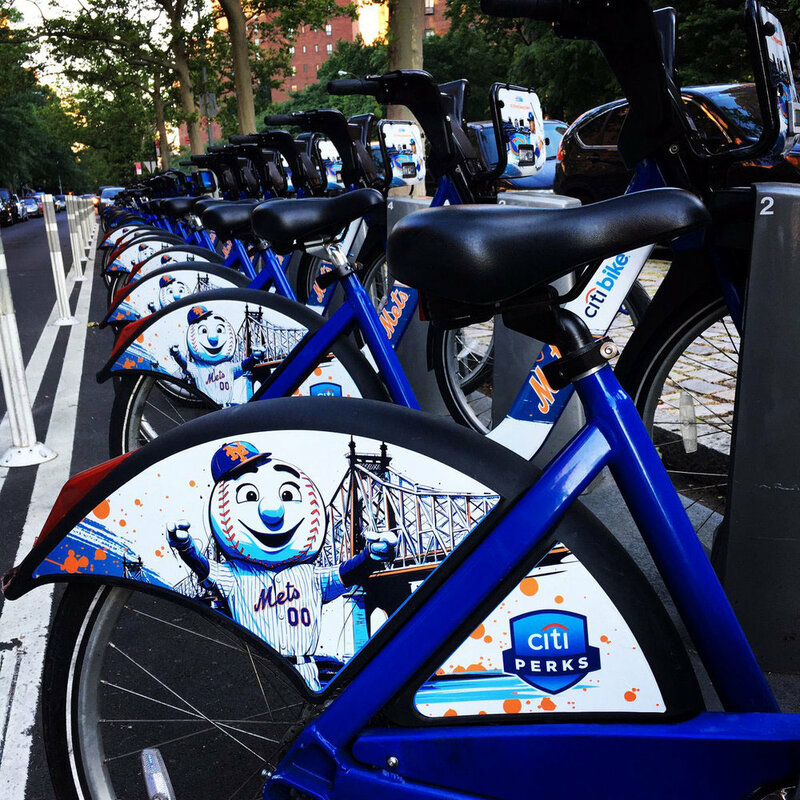 This included a web hub, stadium signage, ATM screens, magazine ads, Citi bikes, social posts, email blasts and banners. Dynamic brush strokes in Mets' orange and blue colors accented photos and custom illustrations of the mascot and players. Animated LED strips ran across the stadium during home runs, T-shirt cannon breaks, and charity events.